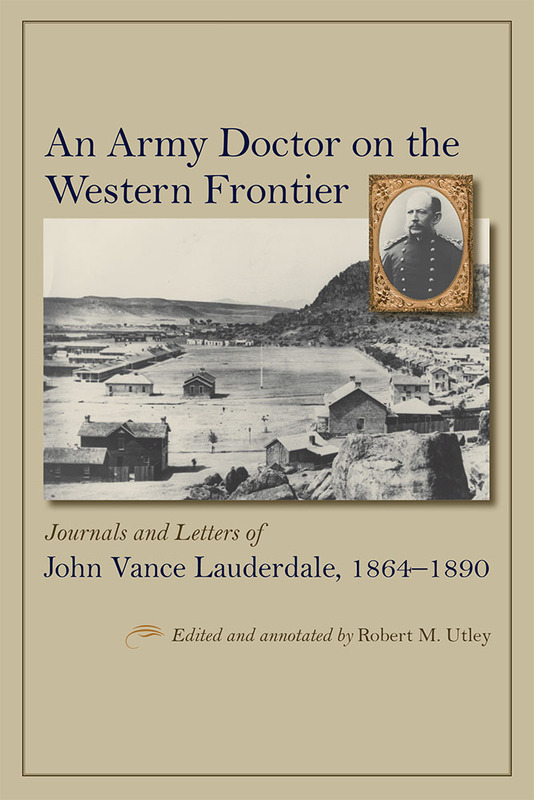 Assigned to the District of Utah during the Civil War, physician John Vance Lauderdale spent the next twenty-five years on army posts in the American West, serving in California, Arizona, New Mexico, South Dakota, and Texas. Throughout his career he kept a detailed journal and sent long letters home to his sister in upstate New York. This selection of Lauderdale’s writings, edited and annotated by a premier historian of the American West, offers an insightful account of army life that will teach readers much about the settlement and growth of the West in a time of rapid change. Lauderdale’s observations are keen and critical. He writes about fellow officers, his army superiors, the civilians and American Indians he encountered, life on officers’ row, and the day-to-day functioning of the army medical service. Particularly valuable are his insights into military interactions with local communities of Mormons, American Indians, and Hispanos. Robert M. Utley, formerly the chief historian of the National Park Service, is the author of seventeen distinguished books on the history of the American West, most recently Geronimo.